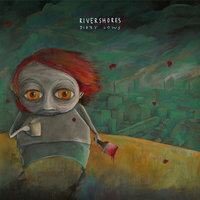 We at Shield Recordings are proud to announce the release of the first Rivershores Full Length called "Dizzy Lows". 10 new poppunk classics for your listening pleasure! The amazing artwork was done by Homesick Design. We'll be releasing "Dizzy Lows" together with our friends in Fond of Life Records and Hectic Society Records.